Free Online Calling , Free Call Websites , Free Call online , Call From Internet – Hello Friends , Hope You Are Doing Well With Our Free Recharge Tricks. Besides From All Other Tricks Today Tricksstore Is Back Again With Awsome Trick By Which You Can Make Free Calls To Phone Or PC. We Always Think About How to Make Free Calls Through Internet And Searching For Free Calling Websites On Google We Find Number Of Free Calling Websites, Some Of Them Working Fine And Some Free Calling Websites Are Fake. Nowadays Number Of Apps Are Available To Video Call Also Provides Free Voice Calls, But they have one limitation that you can call only the person who has a computer and connected to the internet, otherwise they are of no use. Anyways, I am not talking about PC to PC calls in this Free Calling Post, we are going to talk about PC to Phone calls. I will Provide Free websites For Calls, which provides voice call services totally free of cost. Yes, without any call charges you can Call to your friends, relatives or anybody In this World at Any Time. The only Drawbacks of these Free Calling websites are, They Have Certain Time Limits For Calls. Mean You Can’t Access Free Call Unlimited, they have some limitations like advertisements, registration required, a limited number of calls or duration for the call. But, One Thing Is Best About You Can Make Free Call Anywhere in the world without any charges. These free websites save lots of money you spend on making phone calls and mostly that on international calls. 1. Direct calling page. Easy to call. So, have a look at websites to make national and international phone calls for free. 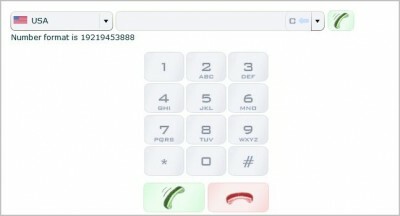 EvaPhone provides Internet telephone calls for free. Their website offers free VoIP call solutions which let you make PC-to-phone free international calls. The only limitation with this service is that duration of the free call varies in which country the call is made and the line provider. 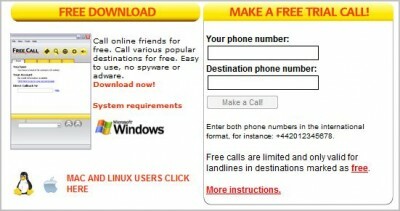 It is an application which can be downloaded in your PC to make free calls to more than 50 destinations. You can make 300 minutes of free calls in a week to pre-defined free destinations. Unused minutes cannot be forwarded to next week. Please check this link to know destinations in which free calls are provided. This website offers you free calls to the countries with rates below than 5 eurocents/minute. You can make calls through your PC as well as with your mobile. You can check this link to check the rates for every destination listed and start making free calls. iCall uses Voice Over IP (VoIP) technology which utilizes your existing Internet connection (cable, DSL, wireless, or dial-up) and your PC to plug you directly in to the regular telephone network. iCall gives you option to download the software for PC or you can make call directly from the browser. iCall is also supported in iPhone, iPhone 3G and iPod touch.It only provides free calls to US and Canada when you make calls from the browser and the duration of each free call is 5 minutes. First sign up for a free account. Enter your number and then the destination number. 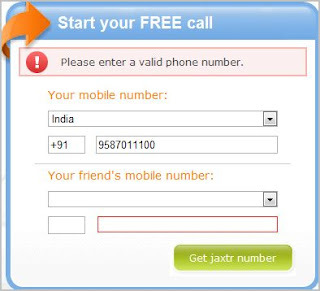 Jaxtr will give you a local number, dial it from your phone. When it prompts, make a call to your friend’s number. All The Above Free Calling Websites Working Fine, If You Have Any doubts Please Comment Below.